Dr. Delong Liu specializes in and conducts clinical research focusing on the care of patients diagnosed with hematologic malignancies. He completed residency training at the Albert Einstein College of Medicine and received his PhD in oncogenesis at Mt. Sinai Medical Center. He completed hematology and onoclogy fellowship training at Memorial Sloan Kettering Cancer Center, New York. He is a Professor of Medicine at New York Medical College, Director of the Non-Myeloablative Transplant Program at Westchester Medical Center. Dr. Liu has extensive research experience and has pioneered a novel mini-transplant chemotherapy regimen designed to decrease treatment-related side effects; he is also leading a variety of clinical trials in leukemia, lymphoma, myeloma, bone marrow transplantation, and is developing laboratory techniques to study blood stem cells, leukemia and myeloma cells as well as to characterize new chemotherapeutic agents. Dr. Liu has over 100 publications on these topics and lectures extensively both domestically and internationally. 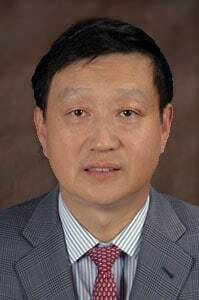 Dr. Liu serves as the Editor-in-Chief of the Journal of Hematology & Oncology (www.jhoonline.org), and is on the editorial board of several other journals. He also serves as an honorary professor for Fujian Medical University, Jinan University School of Medicine and Zhengzhou University School of Medicine in China. Dr. Liu is fluent in English and Chinese.